Give. Help. Repeat. What does it cost to build a girl into a leader, to give her the confidence to take chances, or to give her the tools she needs to fight adversity? by council corporate partners, as well as the gift of a commemorative membership adult patch and pin (pin is for $25 or more per month). A girl can benefit from an entire year of the Girl Scout Leadership Experience, focused on these critical character traits, for the price of just one cup of coffee each month. G.H.R. currently has nearly 130 members, and looks to grow, both in membership, as well as number of girls they help. It takes a village and we invite you to “Pass on the Coffee” too, so we can continue to build girls into strong leaders in their communities. To “Pass on the Coffee” and join the G.H.R. family, go to girlscoutsindiana.org/givehelprepeat or contact Leslie Scott at	lscott@girlscoutsindiana.org. PERSPECTIVES Camp Scholarships Camping is a vital part of Girl Scouting. It creates community and it gives girls a chance to experience the natural environment. Our commitment to providing outdoor experiences to all girls is unprecedented and it is our goal to provide this opportunity to any girl who interested. However, not every girl is in the financial position to attend camp and this is unacceptable. Camp scholarships provide this lifechanging experience for girls who may not otherwise be able to participate. Contributions to camp scholarships make it possible for all girls throughout the 45 counties we serve to attend camp and have the same opportunities and experiences regardless of their ability to pay. In addition, camp scholarships help underwrite the cost of camp activities, keeping fees low for all girls. With your help, all girls can attend camp and learn the attributes necessary to become the leaders they want to be today, and the leaders our community needs them to be tomorrow. Did you know? Girls with more frequent outdoor experiences are more likely to seek challenges and are better at solving problemsâ&#x20AC;&#x201D;qualities that will help them both academically and personally in the future. Seventy-two percent of girls surveyed said that Girl Scouts gave them the chance to build their skills or try new outdoor activities. Spending time in nature improves concentration and creative reasoning. Outdoor experiences also help promote healthy social development and increase self-esteem. corporate climate, this is not a new concept. The idea of CSR emerged in the 1960s when social activists began to question that economics was the sole objective of businesses. This concept has evolved over the years and the conversation has moved to the forefront for both corporations and consumers. Today, CSR takes the form of efforts ranging from donating money to nonprofits, offering a matching gift program, companies designating work hours for employees to volunteer, to implementing environmentally responsible policies in the workplace. CSR is not a practice that is mandated in the United States but rather is something extra that companies voluntarily do in an effort to improve the community in which they operate. through their employer by having an opportunity to professionally and personally develop. By volunteering and donating, employees experience a sense of pride knowing that they work for a company that not only invests in their community and encourages them to give back as well. CSR is important for companies, nonprofits, and employees, but why? Does your company have a corporate social responsibility model that aligns with the Girl Scout Mission? 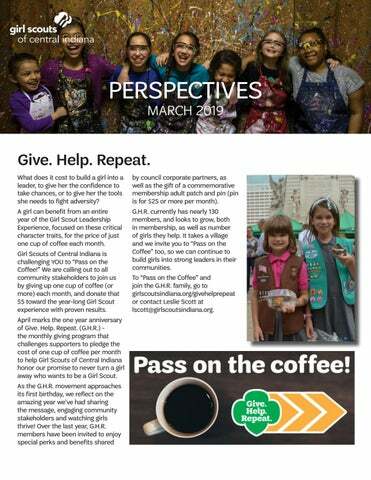 Girl Scouts of Central Indiana is always looking for corporate partners to collaboratively develop mutually beneficial partnerships. 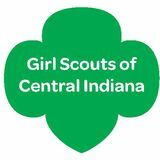 For more information, please contact Megan Phillips, director of corporate and foundation relations, at 317.924.6816 or mphillips@girlscoutsindiana.org. CSR benefits nonprofits by creating strong partnerships with the corporate sector. These programs are often another source of revenue and can increase volunteer engagement. Individuals are introduced to nonprofits they may not have engaged with previously. In fact, studies show that CSR initiatives help nonprofits make up revenue through grants, matching gift programs, sponsorships, and collaborative partnership opportunities. discovery in their lives. From the many badges available to the quality of the lessons, Girl Scouts have access to great curriculum and learning experiences. Coupled with hands-on experiences, these STEM learning opportunities can advance participation in STEM careers, or just help girls become more comfortable with STEM subjects. No matter the interest, there is Girl Scout programming options available to foster that interest. Being open to accepting individuals where they are in lifeâ&#x20AC;&#x2122;s journeys and supporting her dreams and aspirations is what makes Girl Scouts great. My support for Girl Scouts could not be stronger or more unqualified. My personal story begins with a young acquaintance who expressed transgender needs. We were worried about acceptance in school, sports and activities such as Girl Scouts. The local Girl Scout troop has been welcoming, accommodating, and we couldnâ&#x20AC;&#x2122;t ask for a better environment. The acceptance of individuals from the LGBTQ community into Girl Scouts speaks volumes about the leadership and values of Girl Scouts.